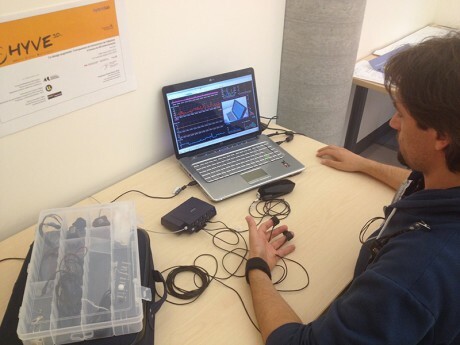 Hybridlab acquired an eight channel system for psychophysiological recordings. We are now able to obtain measures such as heart rate (HR )and heart rate variability (HRV), monitor muscular activity (sEMG), and brain waves (EEG). This system allows us to obtain continuous, non-intrusive, and objective measures during design and co-design processes, and carry out user experience and human-machine interaction studies.